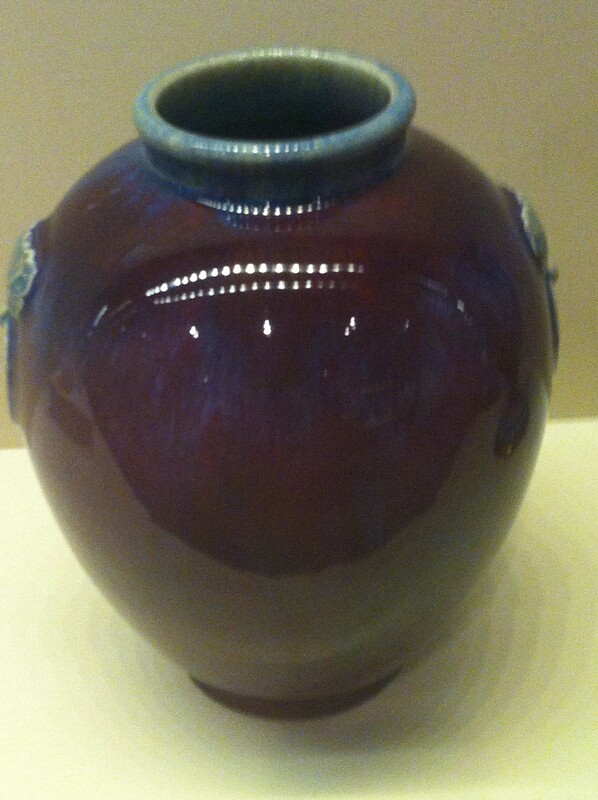 Last weekend, my wife and I visited the exhibition “Passion for Porcelain” at the National Museum of China on Tiananmen Square. 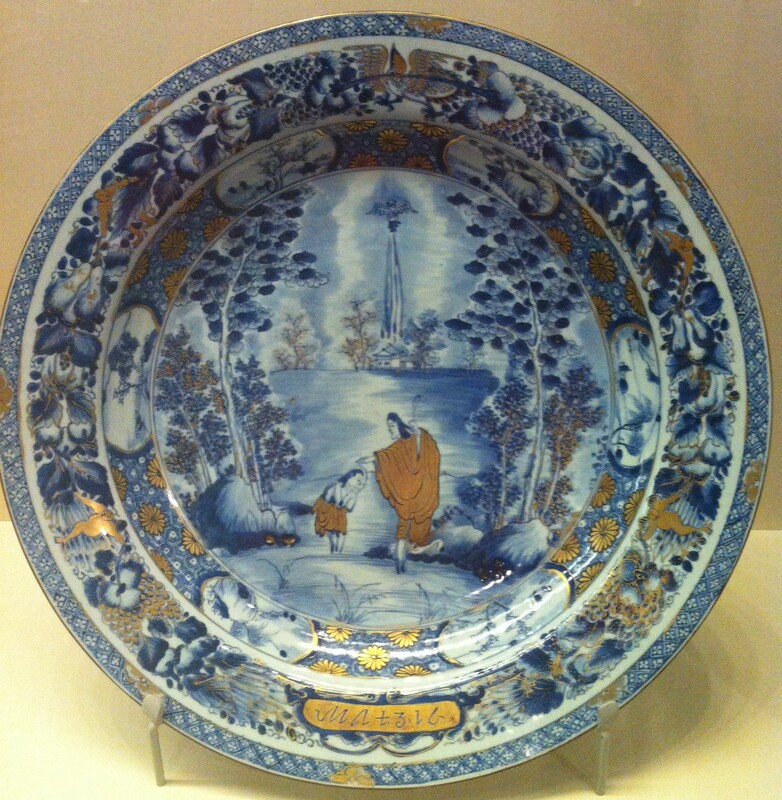 Through pieces from the collections of the Victoria & Albert Museum and the British Museum, the exhibition celebrates the discovery by Europe of Chinese porcelain, that wonderful moment in the seventeenth century when chinaware began pouring into Europe as ballast in the holds of the East India companies’ ships. 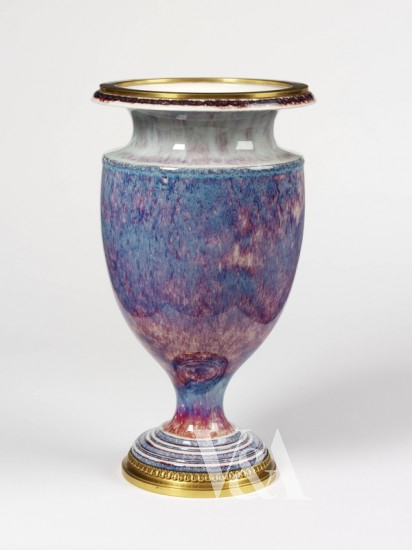 Europeans were dazzled by what they saw, for compared to Chinese porcelain the European ceramics of the time were rough, crude articles. Then they started exporting wares with European designs. Some of them are hilariously bad, like this example. It takes a moment to understand that the two blobs in the plate’s centre are John baptizing Jesus. Obviously, the Chinese designer had no feel for what he was copying. 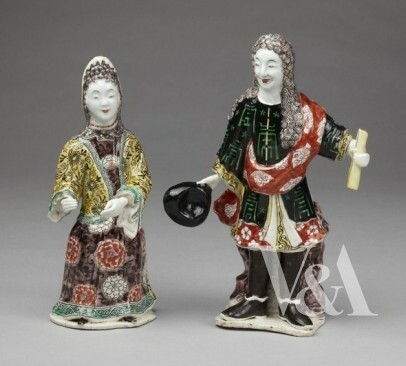 Or take these two figurines, which the label insists are figurines in French court costumes. Some are simply odd when seen in a Chinese context. 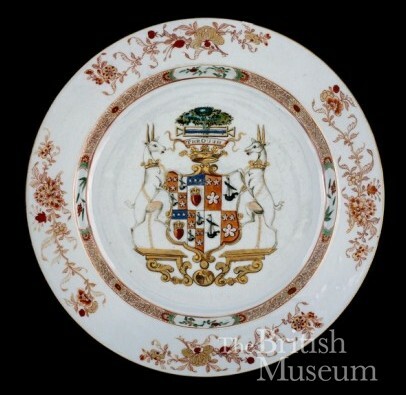 Plates with the armorial bearings of some English aristocrat, for instance, sound a strange note on Tiananmen Square. But I suppose it is no stranger than Christmas decorations pouring out of a modern Chinese factory ready for shipment to the US or Europe. 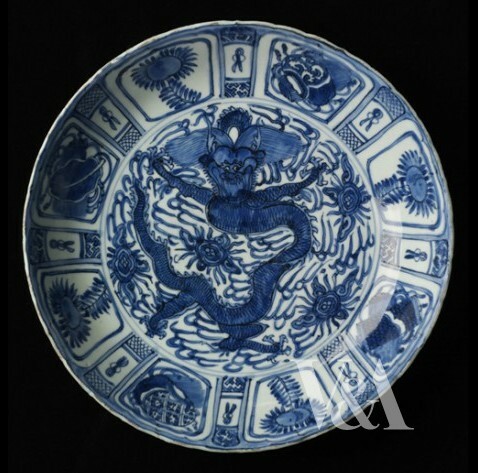 In all fairness, some designs have merged Chinese sensibilities exceedingly well with European-driven designs, like this plate picturing the trading hongs in Canton. Then the Europeans started to make copies. And some of these are hilariously awful in their depiction of Chinese scenes. Others are technically poor copies of Chinese techniques, like these two articles which are both using the flambée technique; the European version suffers distinctly from the comparison. 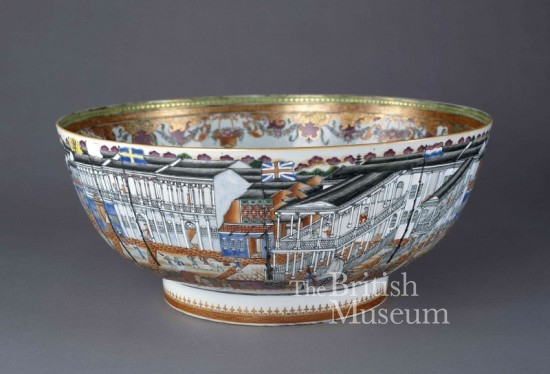 Once the Europeans had mastered the technique of porcelain-making, they could cut the cord with China and make wares of purely European design. 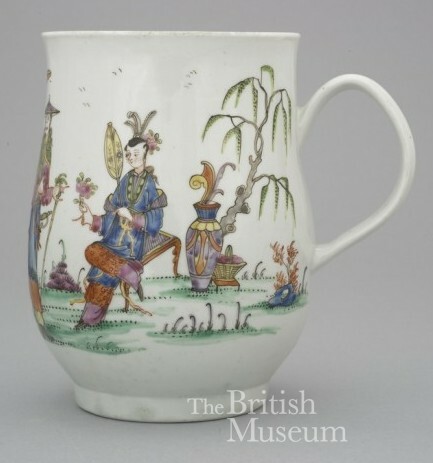 An interesting journey indeed through Europe’s love affair with porcelain. But the exhibition’s postscript made all the previous showings “full of sound and fury signifying nothing”. But I will deal with this in my next post.